Artificial intelligence (AI) is a computer system or other machine able to perform tasks that ordinarily require human intelligence like planning, learning, reasoning, problem solving, knowledge representation, perception, motion, manipulation and even social intelligence and creativity. Machine learning has been widely used in data processing, computer vision, natural language processing, biometrics, search engines, medical diagnostics, detection of credit card fraud, securities market analysis, and robotics. But what is it exactly? Machine learning is a part of the artificial intelligence research field, more specifically, in how to improve the performance of specific algorithms in empirical learning. Machine learning is the study of computer algorithms that can be automatically improved through experience. Machine learning is the use of data or past experience to optimize the performance standards of computer programs. With the explosive growth of connected devices, combined with a demand for privacy/confidentiality, low latency and bandwidth constraints, AI models trained in the cloud increasingly need to be run at the edge. 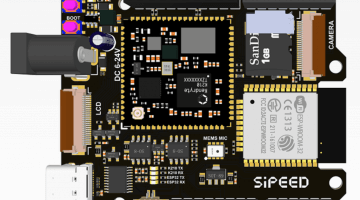 MAIX is Sipeed’s purpose-built module designed to run AI at the edge. 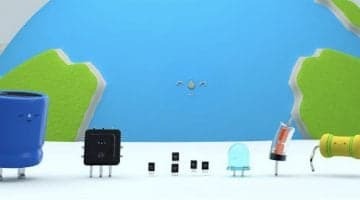 We call it AIoT. 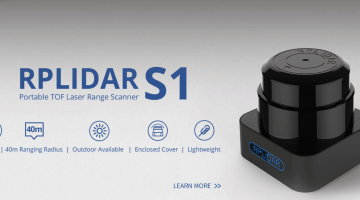 It delivers high performance in a small physical and power footprint, enabling the deployment of high-accuracy AI at the edge with a competitive price that makes it possible to embed into any IoT device. Sipeed MAIX is quite like Coral board, but it is lower cost and lower power. 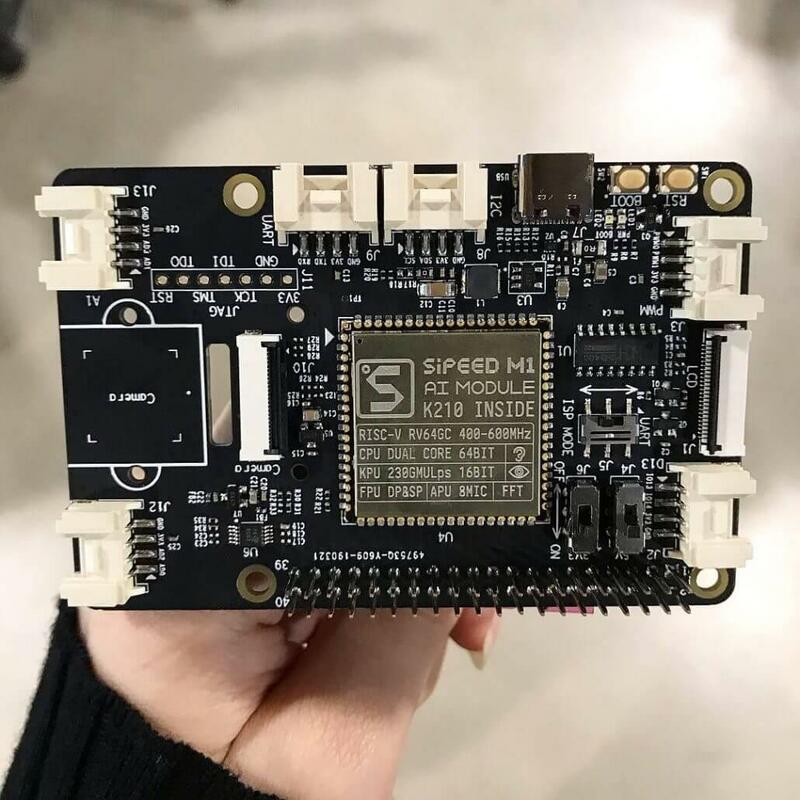 Seeed is developing a Grove HAT for Edge Computing based on the Sipeed MAIX-I module, aiming at enabling more possibilities in areas such as predictive maintenance, anomaly detection, robotics and many more. It is an ideal way to start Machine Learning studies with NVIDIA Jetson Nano. The NVIDIA® Jetson Nano™ Developer Kit delivers the computing performance to run modern AI workloads at an unprecedented size, power, and cost. 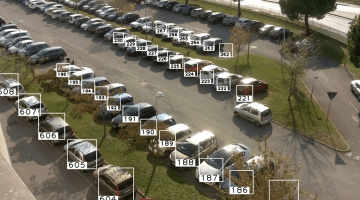 Developers, learners, and makers can now run AI frameworks and models for applications like image classification, object detection, segmentation, and speech processing. Find more information at the NVIDIA Jetson Nano’s official page. The Coral Dev Board is a single-board computer with a removable system-on-module (SOM) that contains eMMC, SOC, wireless radios, and Google’s Edge TPU. It’s perfect for IoT devices and other embedded systems that demand fast on-device machine learning inferencing. 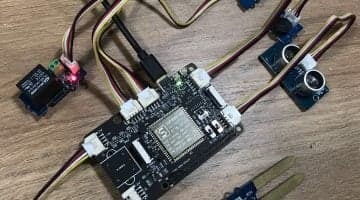 You can use the Dev Board as a single-board computer for accelerated machine learning processing in a small form factor, or as an evaluation kit for the onboard SOM. 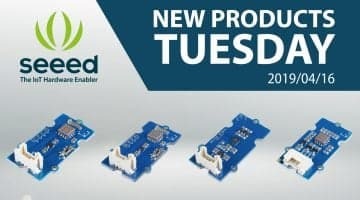 The 40 mm × 48 mm SOM on the Dev Board is available at volume and it can be combined with custom PCB hardware using board-to-board connectors to integrate into products. The SOM is based on NXP’s iMX8M system-on-chip (SOC), but its unique power comes from the Edge TPU coprocessor. The Edge TPU is a small ASIC designed by Google that provides high-performance machine learning inferencing with a low power cost. For example, it can execute state-of-the-art mobile vision models such as MobileNet v2 at 100+ fps, in a power efficient manner. Edge computing brings memory and computing power closer to the location where it is needed. Processing and analyzing data at the edge of the network. Reducing the time for integrating and migrating data. Hikey970 is the super edge AI computing platform powered by Kirin970 SOC with 4 x Cortex A73,4 x Cortex A53. Hikey970 has 6GB LPDDR4 RAM, 64GB UFS storage, Gigabit Ethernet, GPS, PCIE Gen2 and CAN on board. As the world’s first dedicated NPU AI platform, Hikey970 integrates Huawei HiAI computing architecture and popular neural network frameworks which supports CPU, GPU AI and Neural Processing Units dedicated to AI acceleration. It also comes with Huawei’s HiAI SDK. 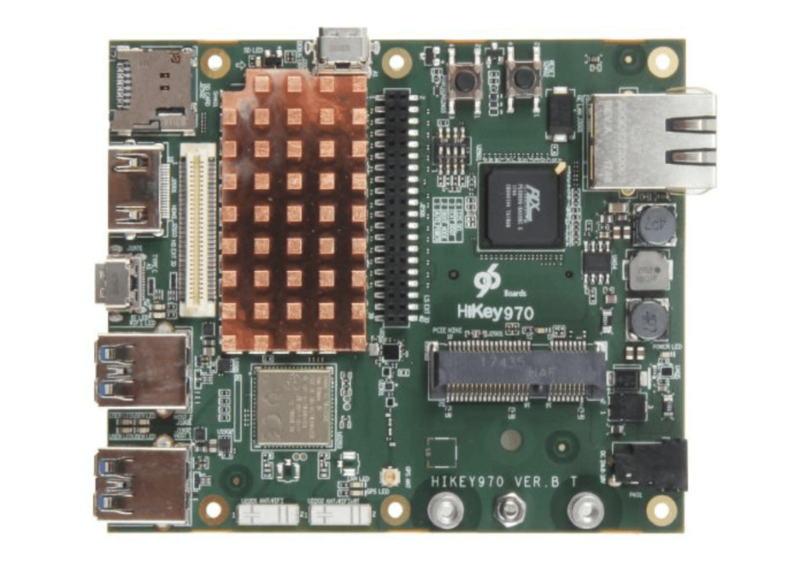 Hikey 970 can be used in most applications in deep learning, Robotics, automobiles and smart cities. With Plug and AI in mind, Horned Sungem is dedicated to being the simplest AI device allowing developers, students, AI hobbyist and enthusiasts to create their own AI applications with ease. Without any dependency on deep learning frameworks or complex libraries, your device will be ready to see and understand the world after you plug HS into the USB port and run a short installation script. Natural Language Processing (NLP) refers to AI method of building systems that can understand language. NLP is required when building intelligent systems to ask robots to perform per given instructions. ReSpeaker is an open modular voice interface to energize the world around you just using your voice. 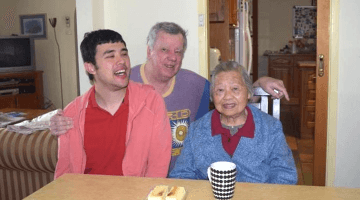 Interact with home appliances, plants, the office, internet-connected devices and other things in day-to-day life, with the power of speech. The ReSpeaker project provides hardware components and software libraries to build fully voice-enabled devices. 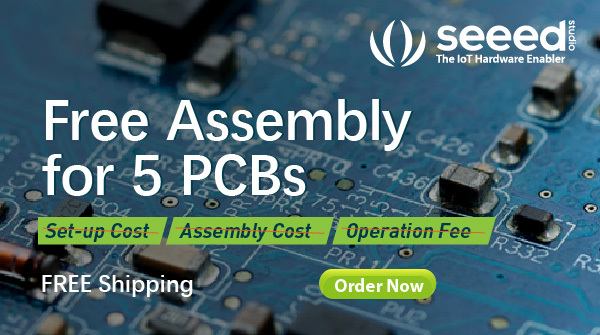 The below table we focused on the hardware specification and features to help you choose the most suitable development boards, modules and kits for you specific area projects. AI Enablement for the Grove system is ongoing! We have now updated the Grove.py Python library to support the Coral Dev Board and NVIDIA Jetson Nano. Connect over 200 Grove modules simply and easily with the new libraries. Here is a blinking button demo with the Coral Dev board. Code can be found here. 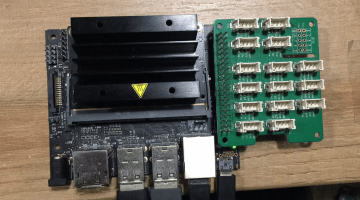 Connect Coral dev board with Grove modules. In the near future, Seeed will also expand the Grove system to include Scenario kits with the community for real projects using Google’s Edge TPU! Keep in touch with us! Let us know what you want to see in the forum, and we will do our best to listen and take action!